Thanks to Nuffnang, I watched this super awesome movie – Battleship 2 nights back at Mid Valley. 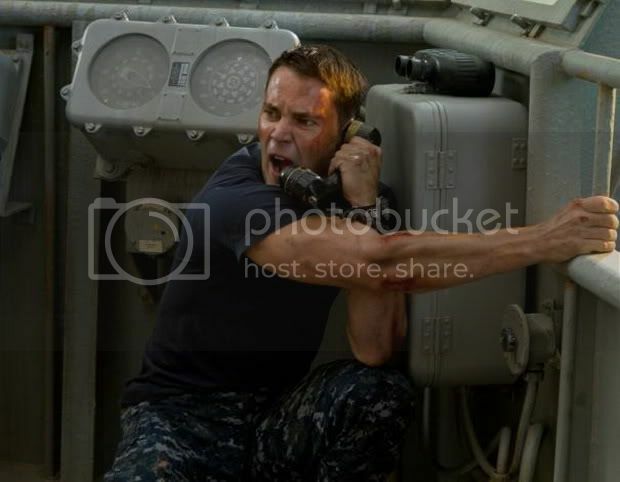 Battleship is definitely one of the top 10 movie of 2012 and I’m pretty sure it’ll be a huge hit. After watching the movie, I checked my Twitter stream and saw someone commenting that this movie is like Titanic + Transformers + Pearl Harbor. Yes it’s awesome like that! Too bad i missed the after credits scene where it shows a hint of sequel for the movie. 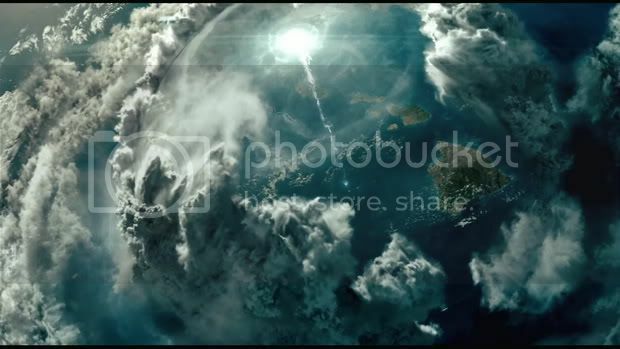 Plot Summary: Peter Berg (“Hancock”) produces and directs “Battleship,” an epic action-adventure that unfolds across the seas, in the skies and over land as our planet fights for survival against a superior force. Based on Hasbro’s classic naval combat game, “Battleship” stars Taylor Kitsch as Hopper, a Naval officer assigned to the USS John Paul Jones; Brooklyn Decker as Sam, a physical therapist and Hopper’s fiancée; Alexander Skarsgård as Hopper’s older brother, Commanding Officer Stone of the USS Samson; Rihanna as Lt. Raikes, Hopper’s crewmate and a weapons specialist on the USS John Paul Jones; and international superstar Liam Neeson as Hopper and Stone’s superior (and Sam’s father), Admiral Shane. Berg directs this epic action-adventure also produced by Brian Goldner and Bennett Schneir of Hasbro (the “Transformers” franchise), along with Scott Stuber (“Couples Retreat”), Sarah Aubrey (“The Kingdom”) and Duncan Henderson (“Master and Commander”). 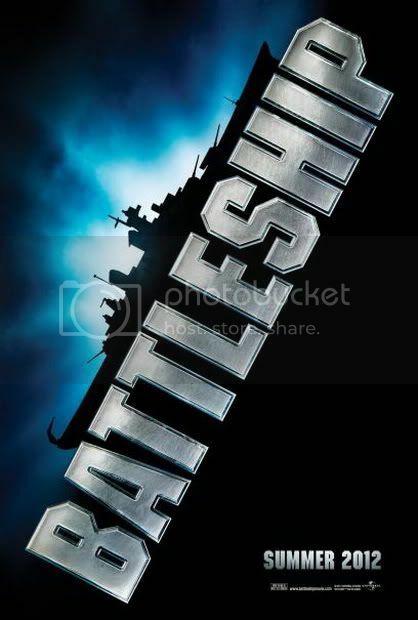 Battleship, based on the classic boardgame by Hastro with the same title is one of the biggest blockbusters this year. With Rihanna making her debut in film-acting, along with Taylor Kitsch (X-Men Origins, John Carter), this is a slightly different kinda alien film. 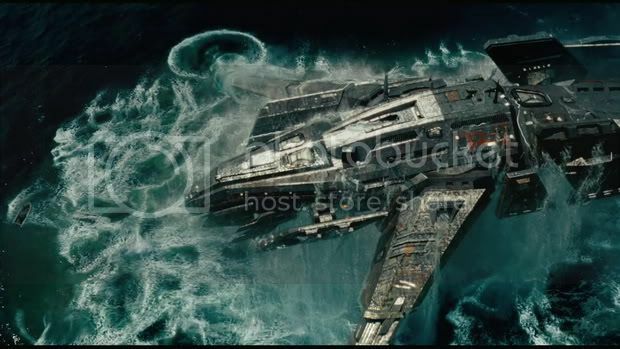 The fact that the war was kick started in the middle of the sea made this movie unique in a way where it shows a different perspective compared to the previous alien movies. Mind me, it’s a movie which spans over 2 Hours & 12 Minutes & it was splendidly done! I wasn’t bored a single second. In the first half an hour of the movie, it seems like a whole collection of lengthy scenes before the storm strikes & I like how they introduce every characters which play an important role in the movie later on. 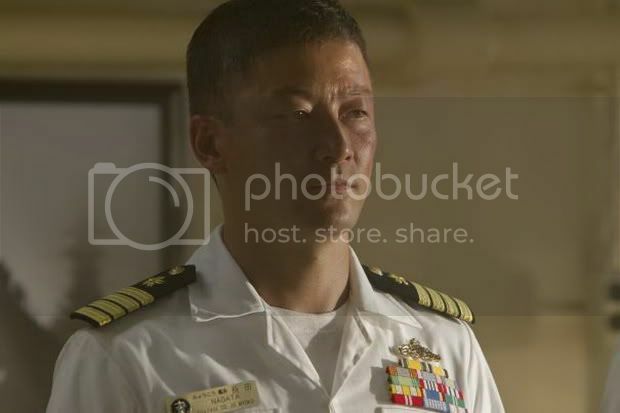 There was this character development between 2 brothers, a soccer match, the relationship of a navy soldier and the daughter of an Admiral who controls a whole fleet of navy army, the childish acts & more. It might seem a waste of time for some people, but for me, it was a good path to make way for the intense battle scenes where we were brought into the world of unknown elements from a different galaxy. The biggest issue was with the alien involvement in a film about the classic Battleship game. How do you gel them together? Well, I thought it was brilliant. From the force field being created upon the arrival of the aliens to the execution part of counter-attacking from the human, the team behind this movie did a really good job in making it all logical. The graphics were amazing and I loved how they showed BOTH the battleships as well as the alien’s vessels from different angles. They even have close up scenes on the alien vessels’ weaponry. It was all stunning. In the past, movies which involved aliens invading earth shows an uglier version of aliens but in this movie, it’s like they are of the same species as humans with more capabilities and higher knowledge in technology. The armor the aliens had was quite interesting and the many types of attacking forms with their hands kinda makes me wonder how many things can they do with the suit on. However, that’s not the main point. In the movie, they didn’t really show the reason of why the aliens came. Though there were bits of detail here and there, every other source of information which causes the invasion was just base on assumptions. The battles on the sea which was done perfectly amazed me really much and it completes the whole movie. From a modern destroyer ship USS John Paul Jones to an ancient battleship USS Missouri, the tactics base on the geographical factor/location grid during the battles enduring a chase from the highly advanced alien vessels was the best part of the movie. Totally awesome. 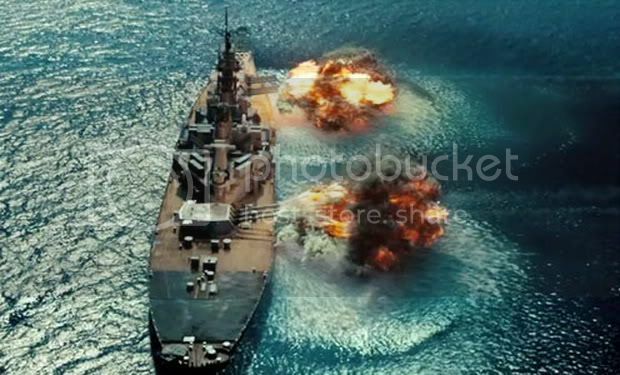 Battleship is a movie with a firm story which was enhanced by great graphics, worth the watch. Go catch it in the nearest cinemas!